Convenient mail-in container for safe disposal of all amalgam-contaminated items: amalgam removals, chairside traps, filters, and scrap amalgam. When the container is full, just call the toll-free number provided to request your prepaid postage shipping label. Then print your label, attach to the included shipping box and give it to your UPS driver. 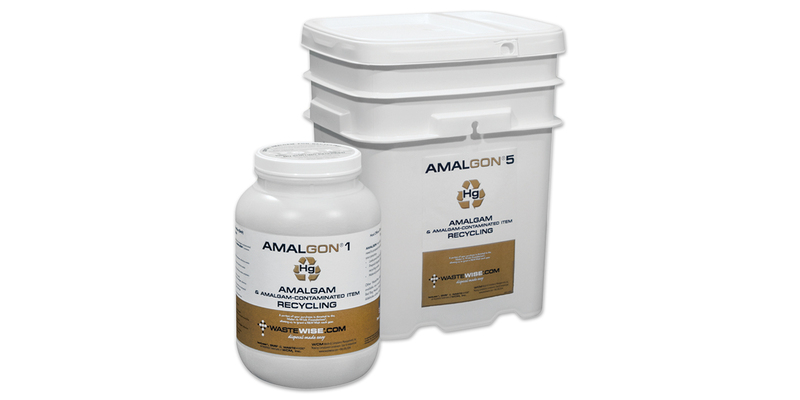 Follows the ADA Best Management Practices for amalgam waste. .Contains: 1 x 1-gallon container packaged inside the return shipping box. Contains: 1 x 5-gallon container packaged inside the return shipping box.